Vancouver – An unprecedented number of shellfish-related illnesses have occurred this summer, with 35 cases of Vibrio parahaemolyticus infections reported to the BC Centre for Disease Control (BCCDC) in June and July. The majority of illnesses have been linked to the consumption of raw oysters sourced in BC and served in restaurants. 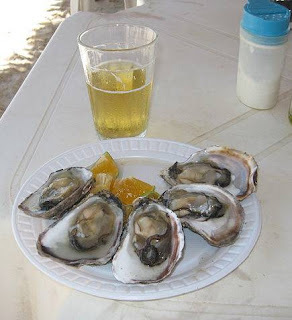 There has also been some illness associated with raw oysters bought at retail or self-harvested. Vibrio parahaemolyticus is a bacterium that occurs naturally in shellfish like oysters, clams, mussels, scallops and cockles, and is found in higher concentrations during the summer months when water temperatures rise. The unseasonably high temperatures this summer may be contributing to the early and large increase in illnesses being reported. When contaminated shellfish are eaten raw or undercooked, a foodborne illness may occur. The most common symptom of Vibrio parahaemolyticus infection is diarrhea. Nausea, vomiting, fever, headache and bloody stools may occur as well. Symptoms can last for around three days to a week and usually do not require any treatment. To reduce risk of illness, consumers are advised to eat only cooked shellfish, as cooking will destroy the bacteria and decrease the risk of gastrointestinal illness. Anyone becoming ill after eating shellfish should report their illness to their local public health office or primary care provider and see a physician if symptoms persist or become severe. They can also call the 24-hour HealthLink BC line at 8-1-1 for more information.